Howmanycalories.com is an online resource that helps track calorie counts of the most common foods and their ingredients. Optimizing calorie intake is very important for the success of any weight loss program and howmanycalories.com is the most efficient way of achieving it. Every study published on weight loss emphasizes on the importance of controlled diet and regular physical activity. Calorie control is the first step to losing weight. The travails of losing weight are best known to people who have tried it and the website is based on the relationship between calories and weight gain. 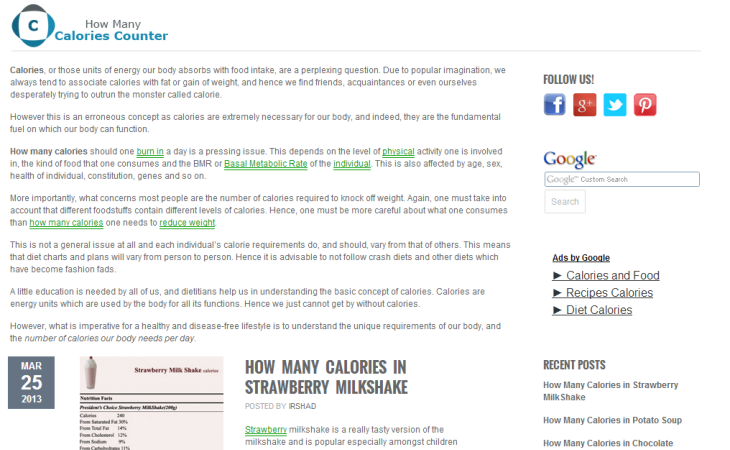 howmanycalories.com provides easily searchable food database. The information on this website makes sure you know exactly how much goes into your diet and helps plan your meals to make weight loss goals a reality.